and more, along with the “What’s that Flag?” from Scott Mainwaring and Ted Kaye’s notes from the PFA’s May meeting. 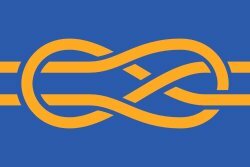 Past issues of the Vexilloid Tabloid are available at portlandflag.org/vexilloid-tabloid. 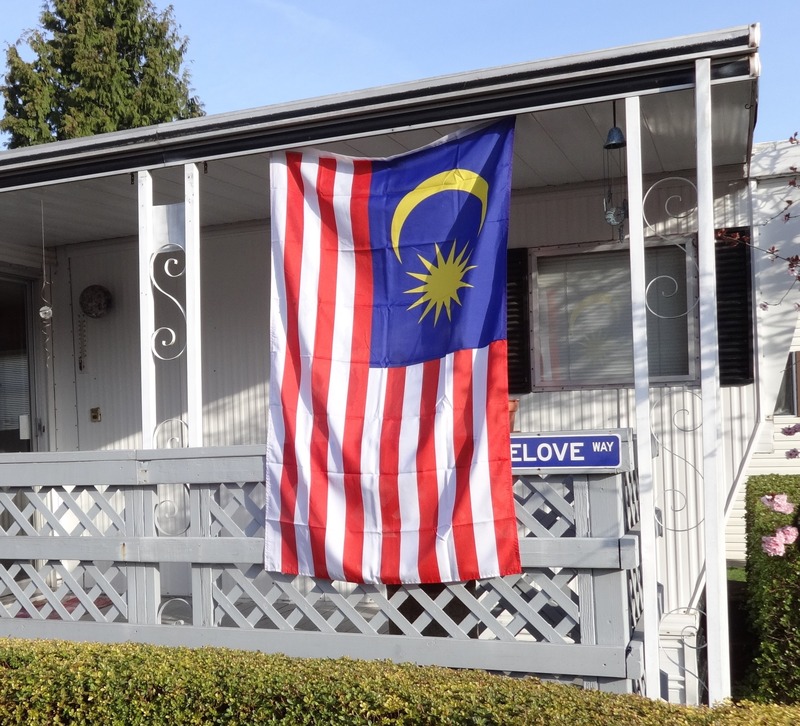 Michael Orelove displays the flag of Malaysia at his Gresham home, in reconition of the Malaysian airliner tragedy. Malaysia’s U.N. mission provided him with the flag for educational purposes. 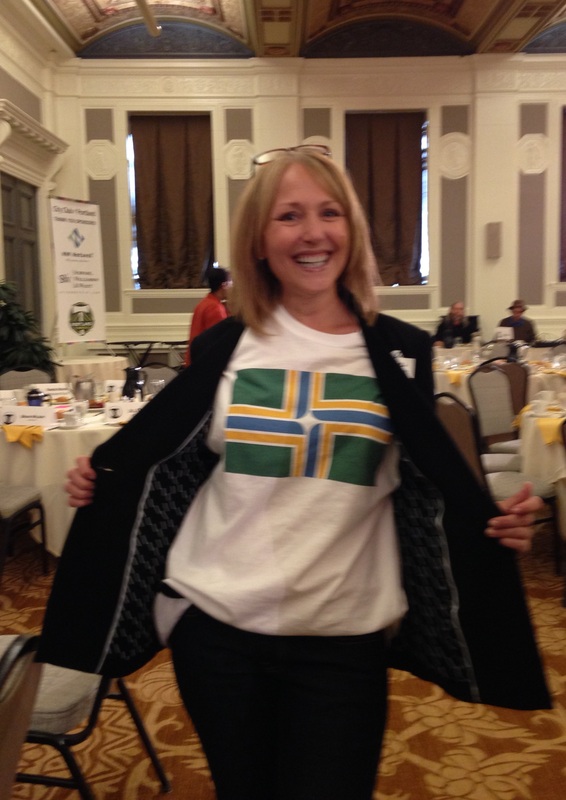 Portland City Club member and sound technician sports the flag T-shirt in the Sentinel Hotel ballroom.